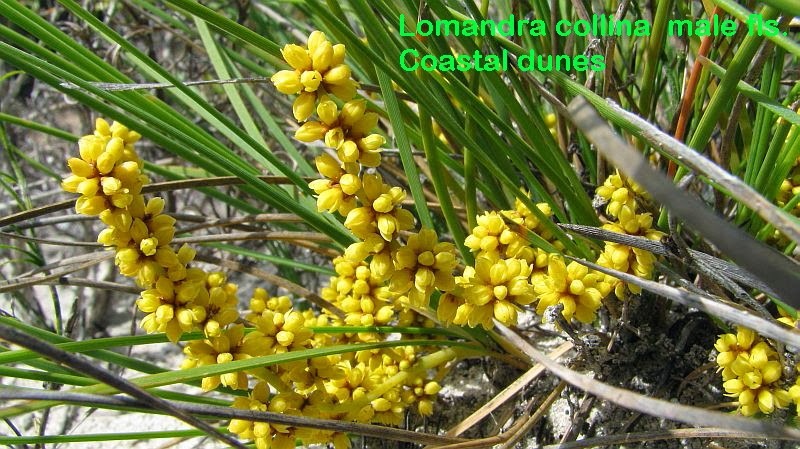 This species is widespread in Australia, occurring in WA from the north of Perth to the Nullarbor, plus is very common in SA where it extends into Victoria and NSW. It is also found over a range of habitats resulting in a number of regional differences. 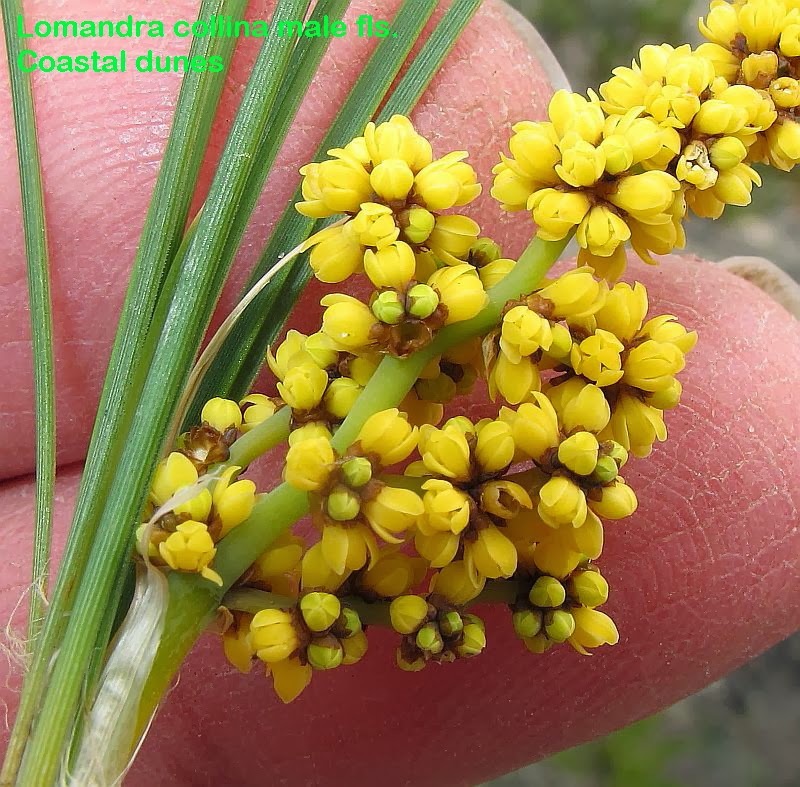 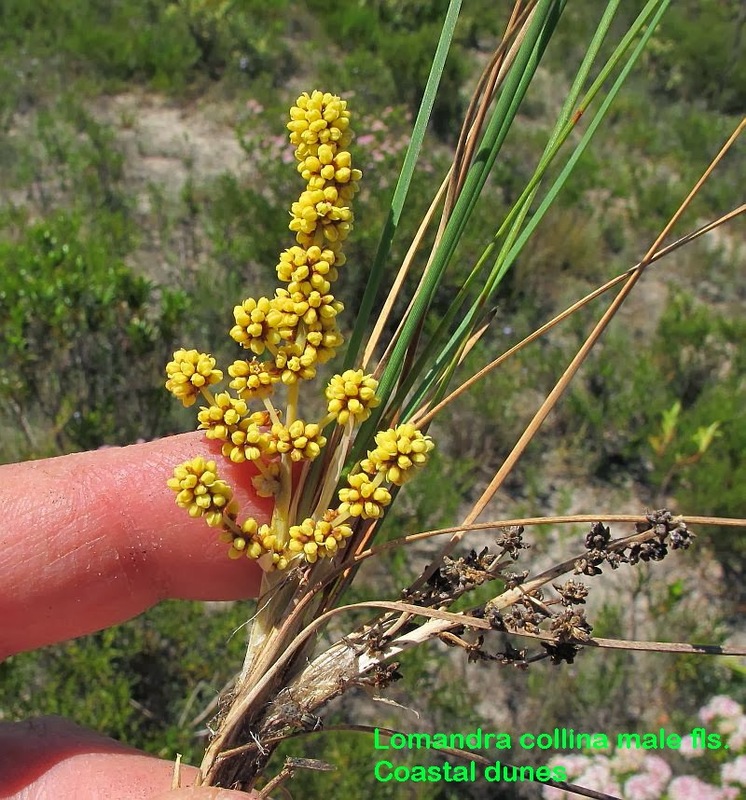 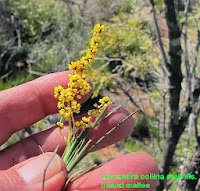 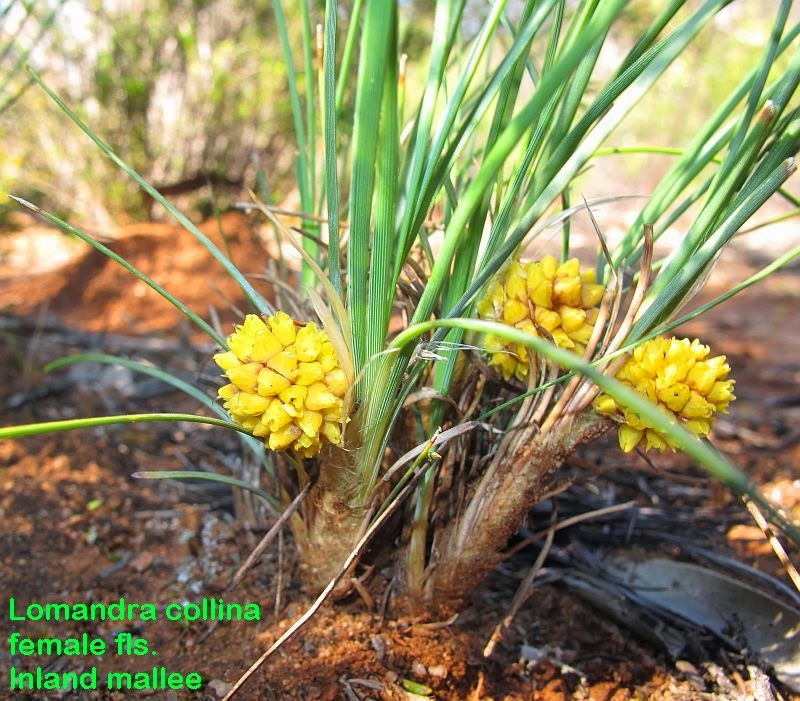 The Lomandra genus including this species is currently under review and consequently there may be name changes down the track. 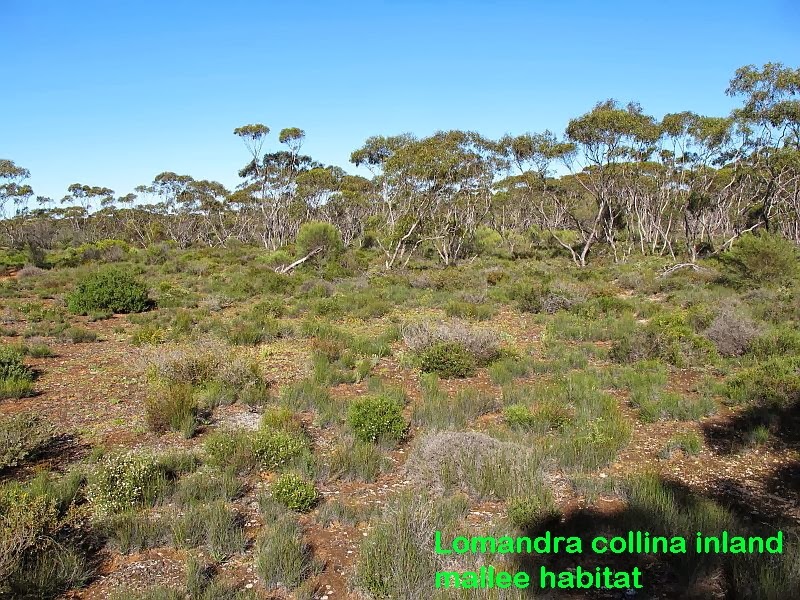 I have divided my collections into two different habitats for comparison. 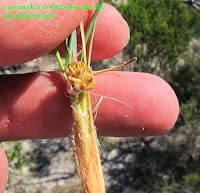 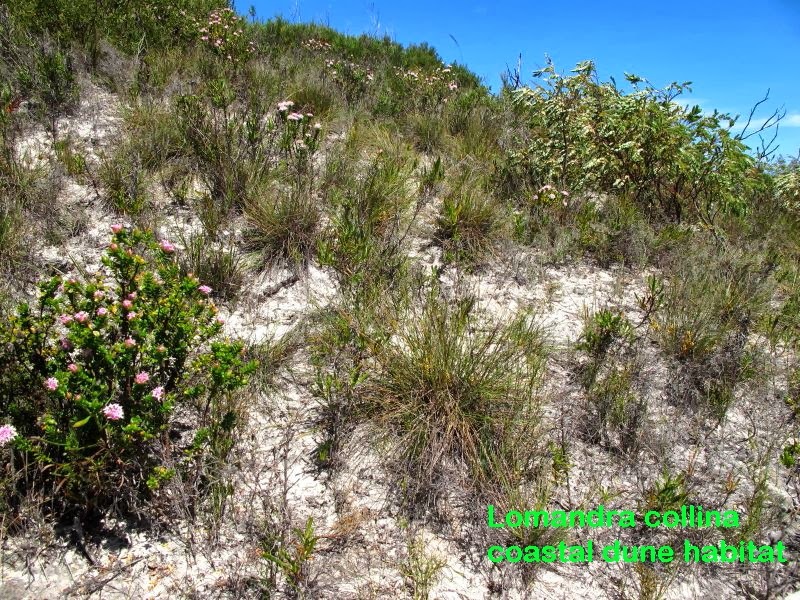 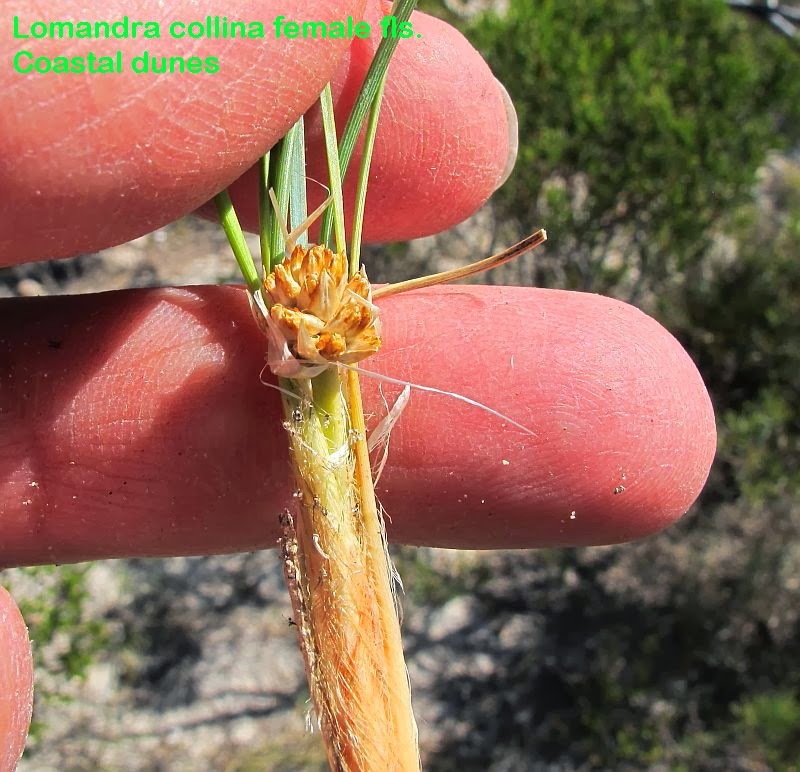 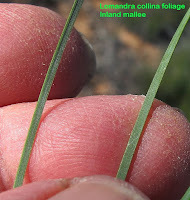 The first in stabilised calcareous coastal dunes where it occurs on and about tall and often steep dunes, whilst the second is inland on the edge of a plain situated in a mallee environment, where plants grow in a red/brown loam over limestone. 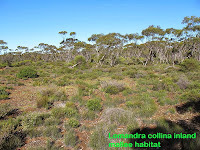 The coastal dune habitat is 20 km (12.5 miles) east of Esperance, while the inland mallee location is around 150 km (95 miles) NE of Esperance and 35 km (22 miles) NW of Mt Ragged, where plants of both locations are common but localised to habitat. 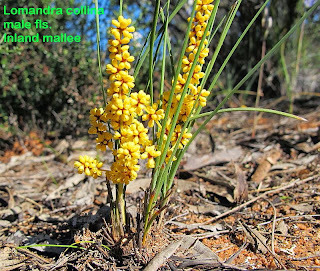 Lomandra collina forms a tussock with slender arching leaves of around 30 cm (12”) in length with pronounced fibrous bases. 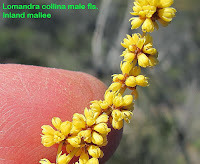 The flowers are unisexual and develop on different plants, with the male flowers being arranged in elongated, sessile (without stalks), rounded clusters. 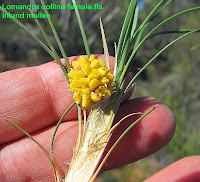 The flowers of the less common female plants are arranged in a short sessile cluster. All flowers seen locally were a deep yellow and presented an attractive floral display, however in some areas they must be much paler to attract the common name of Pale Mat Rush, which presumably represent another variation of this widespread taxon. Flowering occurs from September to November. 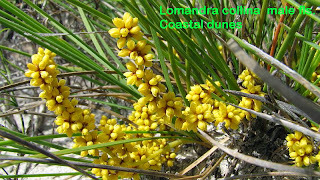 The Lomandra genus is part of the Asparagaceae family, although may also be listed under Liliaceae.